Happy Thanksgiving! Although I hope you're not reading this on thanksgiving. If you are, close your laptop, turn off your phone, and go organize a friendly game of cards with your family. Thanksgiving is one of my favorite holidays. It's definitely my favorite non-religious holiday. 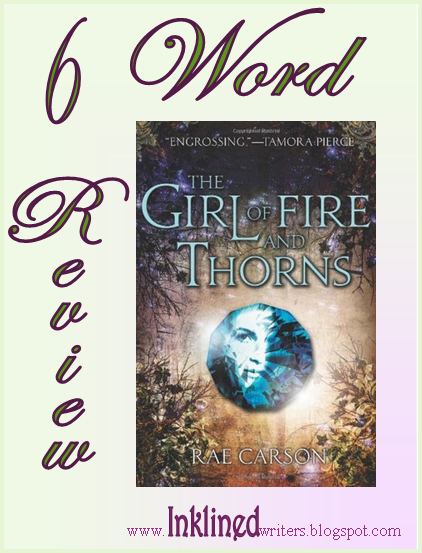 As such, I thought it would be a good day for my first six word book review. I posted awhile back that I don't like book reviews, but I still love authors and helping good books get out there, so I decided to write six word books reviews for a few books a month. This is the first one! Among the greatest high-fantasies I've read! I also really appreciated how clean this book was. If it had been an audio book, it would have been one I wouldn't have minded listening to with my little brothers in the room. You can by the book on Amazon, B&N, check out the author's website or Twitter, or put the book on your to-read shelf on Goodreads. Similar titles include The Demon King by Cinda Williams Chima and Soulboud, by Heather Brewer, both of which I also recommend. P.S. NaNoWriMo is still going well. Hopefully I'll get to 50K soon! We're not going Black Friday shopping...going to Grandma's :) what is your family doing? Yeah, we never go Black Friday shopping. I'm chilling at my aunts right now, trying to get the last of my NaNo writing in for the day.